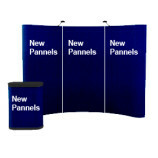 These light weight, versatile panels are digitally back printed and encapsulate for ultimate protection. The exposed surface features a scratch resistant surface which maximizes protection during handling and shipment. 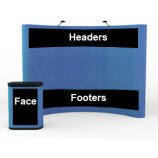 These panels are designed to roll-up and fit into most display containers. 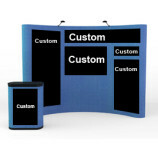 There are no limitations to graphics and the panels accommodate most custom sizes. Visit our ISFTradeshow.com website by clicking on the catalog button. Click on the “Contact Us” tab below for your quote. In the “Your Message” list sizes require for a fast quote. Also if you need magnetic tabs, Velcro tabs or grommets mention that in the message or call us at 1-877-778-7446.